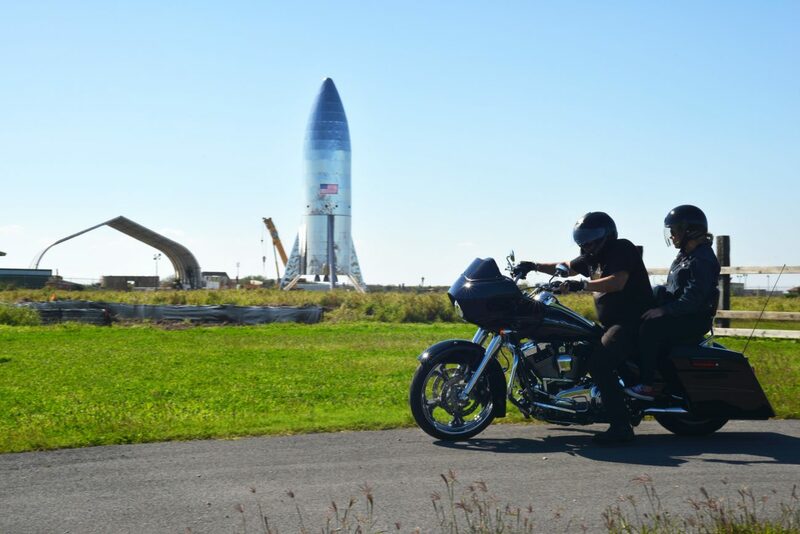 The company recently completed work on the first prototype: the Starship Hopper, a retro-style, silver rocket that’s been attracting a great deal of attention at the site just off S.H. 4 and could begin launch/landing tests at Boca Chica as early as next month. Development of the Starship and its Raptor engines will continue at the company’s Hawthorne, Calif., headquarters, Musk said. SpaceX announced on Jan. 11 that it will lay off roughly 10 percent of its workforce of more than 6,000 employees. Company spokeswoman Eva Behrend said the decision won’t affect the company’s current manufacturing, design and launch operations at its Hawthorne headquarters and Vandenberg Air Force Base in California. “Additionally, SpaceX will continue recovery operations of our reusable Falcon rockets and Dragon spacecraft at the Port of Los Angeles,” she said. A parachute-assisted splashdown of a Dragon spacecraft in the Pacific Ocean a few days ago marked the completion of SpaceX’s 16th resupply mission to the International Space Station. The company has been using its Falcon 9 two-stage rocket for satellite launches and for getting Dragon spacecraft into orbit for unmanned missions to ISS. The Dragon is also being developed for crewed missions to ISS. The Starship/Super Heavy configuration is the vehicle that SpaceX intends to use for unmanned missions to Mars as early as 2022 and manned flights perhaps by 2024. Musk’s ultimate goal is to colonize Mars to help ensure the survival of the human species. “I know that there was a layoff announced last week and I was concerned about what that meant,” he said. “But a lot of it makes a lot more sense as they’re going through this process.